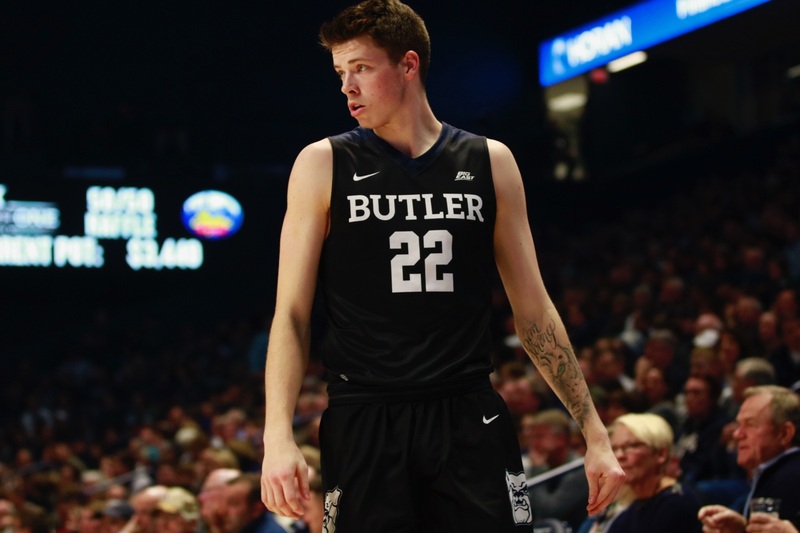 Sean McDermott studies the court during Butler’s loss to Xavier. McDermott led the team in rebounds with 11. Photo by Jimmy Lafakis. Who has never been to a Final Four? If Logan Paul was a college basketball team, he’d be Xavier. Obviously it’s a Xavier fan. If you are looking for the world’s most annoying human being, he’s about four feet behind me and four beers in at this Butler-Xavier game. There’s a silver lining everywhere. Never like losing to X, but I’ll happily take a 2-1 start in the Big East; especially with the schedule Butler has had so far. If Matt believes it, it must be true. Gritty not pretty, that’s the motto. Xavier: where the players are more likely to be arrested than make a Final Four. Haha, JP Macura has no brain.